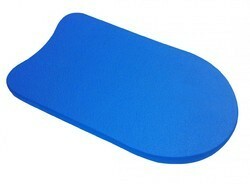 Relying on our expertise in this domain, we are offering Lightweight Swimming Kickboard. We take pleasure in introducing ourselves as leading firm by offering Swim Kickboard. - A colorful kickboard to help children learn to swim. - Perfect for developing gross motor skills and confidence in the pool! - Durable High Density Construction.